Half of field service workers agree that the worst part of their job is paperwork and administrative tasks. In comparison, 77% say the best part of the job is solving customer problems. With ServiceEcho, you can drastically reduce tedious day-to-day tasks your employees dread and let them focus on what they enjoy - making your customers happy. Spend less time on administrative tasks when ServiceEcho streamlines your service process. Effortlessly create a schedule for your service teams and avoid wasted downtime. 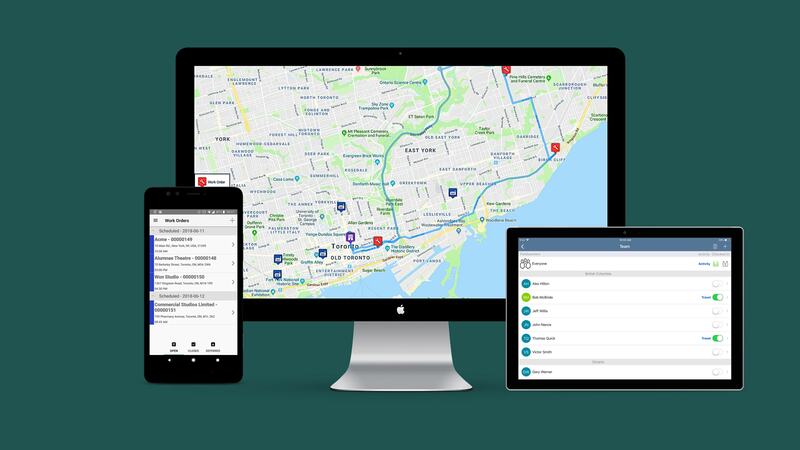 Travel to job sites faster with our map and routing tool. Best of all, get paid faster with our customizable invoicing feature. ServiceEcho seamlessly integrates every aspect of your company, from the sales team to the field service technicians. Your employees will be able to access the information they need instantly, anywhere, whether it’s work orders or customer notes from your CRM. We’ve designed our product to be environmentally conscious. By using ServiceEcho, you will eliminate the need for paper work orders, saving numerous trees per year. Our commitment to the environment does not end there, as we will plant trees all over the globe in honour of customers who use our service. Our support staff provides a thorough training session when your company is first set up with our product to ensure everyone will be able to benefit from all of the value ServiceEcho offers. However, we won’t end our support there. Our team can be reached easily by email, phone, or through our support portal to answer any questions or concerns you may have at any time.